It’s more than 40 years since Phil Bayton finished fourth in the road race at the Munich Olympics. Back in 1972, he was a 22-year-old amateur competing in his first and, as it would turn out, only Olympic Games. He doesn’t talk about the race very often, but when he does his memories are vivid as he recounts the day that he left Francesco Moser, Freddy Maertens and Cees Priem in his wake. 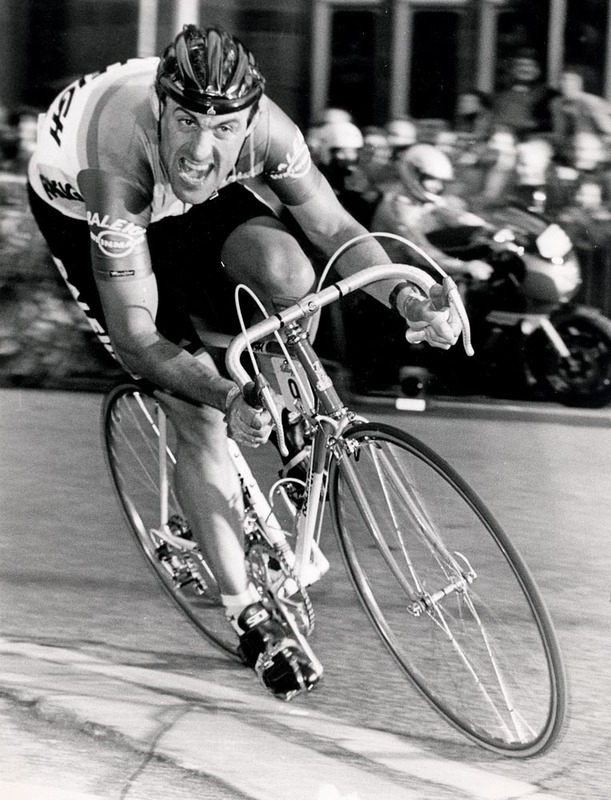 Hennie Kuiper won gold, and Bayton had been the driving force in a break trying to catch the Dutchman who would go on to win Classics, Grand Tour stages, and become road world champion. He crossed the line in fifth after being in a break for 80 miles, and was later moved up one place after the third rider across the line, Spaniard Jaime Huelamo, failed a drug test. Briton Phil Edwards won the bunch sprint to finish sixth and was later moved up to fifth. In many ways, that race was a microcosm of Bayton’s career and his attitude to racing: aggressive, often impulsive, and always prepared to risk finishing outside the podium places in pursuit of the win rather than playing the percentage game and settling for second or third. Bayton was born in Kingswinford near Dudley in the West Midlands in 1950. 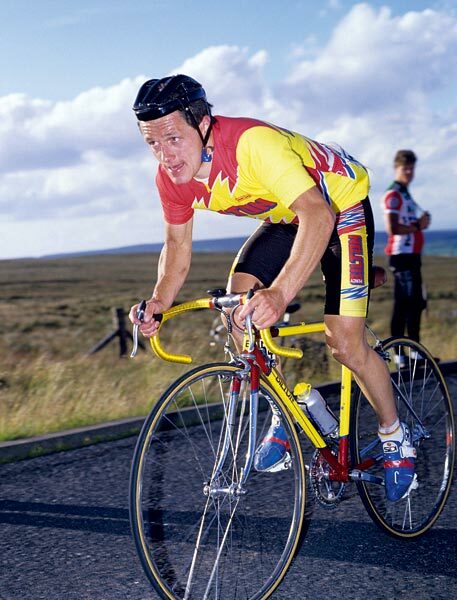 His dad was a bus driver, and kids in his hometown on the edge of the Black Country were more likely to aspire to playing centre-forward for Wolverhampton Wanderers or West Bromwich Albion than to winning the Milk Race or Tour de France. There was no history of cycle racing in his family, and at the age of 12 Bayton didn’t have his own bike. He borrowed his sister’s, though, and it was while riding this bike that he happened to see a local race, which inspired him to view cycling in a whole new light. 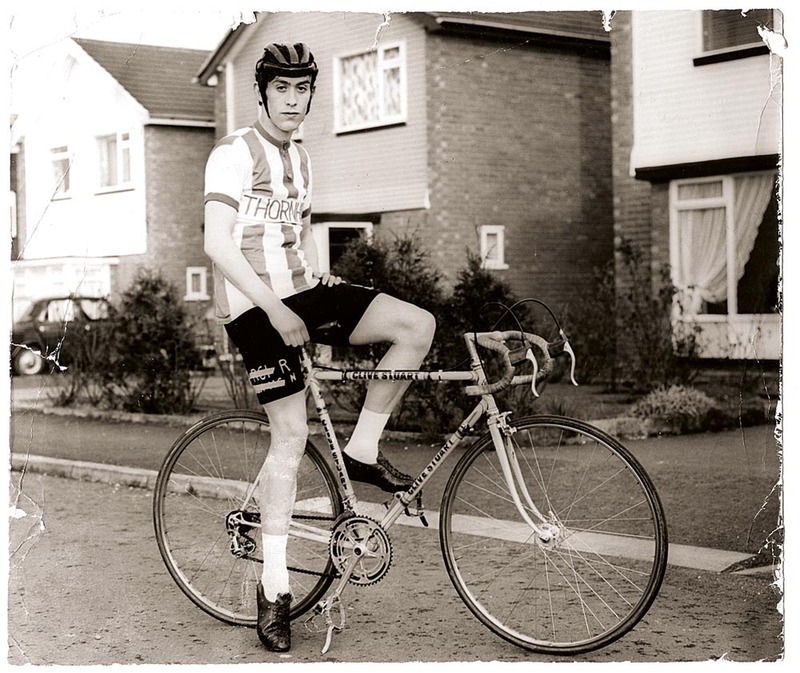 He joined Stourbridge Cycling Club and, after a year of club rides and touring, began racing. He then moved to the Thornhill Cycling Club in Birmingham, and it was there that he met two men whom he credits as being the biggest influences on his career: Brian Lee and Howard Darby. Lee was, in Bayton’s words, “Like a second dad to me.” He instilled confidence in Bayton, but he was a tough taskmaster too, a kind of Brummie version of Eddie Soens. Bayton progressed quickly. His first win of note was a handicap race at Hirwaun in South Wales as a 16-year-old junior. At 17, Bayton was selected to join the GB Olympic squad, coached by Norman Sheil, whose methods he considers as having been ahead of their time. In 1970 and 1971, Bayton finished third in the Star Trophy Series, and in 1972 finished second and third in two Milk Race stages on his way to winning the Star Trophy. All this helped him win selection for the Munich Olympics road race. Bayton’s Olympic performance showed his potential and, combined with his victory in the GP de France time trial the same season, opened up the door to a pro career. “In those days, the amateur rules were very strict and you weren’t even allowed to take small cash prizes,” says Bayton. He turned pro with Raleigh in 1973 with his good friend Dave Lloyd. Just a few weeks into his pro career, Raleigh arrived at Milan-San Remo, and on the eve of the race, their manager George Shaw asked them to “have a go” to get some much-needed publicity for the new team. The two big-gear merchants didn’t need asking twice, and their interpretation of ‘having a go’ resulted in an epic 100-mile breakaway lasting nearly five hours. They reached the Turchino Pass before they were caught, and they had stamped their mark on La Primavera and made a name for themselves in the Italian media. The epic breakaway led to an invitation for Bayton and Lloyd to ride the Baracchi Trophy two-up time trial in which they finished third (Felice Gimondi, who became world road champion in the same year, won with Colombia’s Martin Rodriguez). Tom Simpson had finished third with Rudi Altig in 1964 and, after Bayton and Lloyd, the only other Brit to make the podium in the Baracchi Trophy was Sean Yates, who finished third with Dag Otto Lauritzen in 1990. The race was run for the last time a year later. He has few regrets, but does wish he had taken up an offer to move to the Belgian-based Watneys team for the 1974 season instead of staying at Raleigh. He returned to the UK before the end of the season and went back to work at the Russell Hobbs factory in the West Midlands with thoughts of giving up pro racing. But Hugh Porter got in touch with him and he was soon racing with Porter in the Bantel squad. Bayton credits Porter with saving his career. He was third that season in the national road race – a career best performance in that event. Over the next few years, he developed a reputation as one of the strongest riders in the UK peloton, and held down full-time jobs while training in his spare time, racing at weekends, and using up all of his holiday entitlement to do midweek and stage races. Bayton was particularly successful in criteriums, but the national crit title eluded him until 1982, in Newport, South Wales. Breaking clear with Moducel rider Phil Corley, the pair lapped the field with Bayton winning the sprint. These days Bayton still rides, and even at 63 he’s strong and enjoys chain gangs with some of his former team-mates and his son Grant, a former pro who rode for Amore e Vita. The former star is a regular customer at Fred Williams Cycles in Wolverhampton, his local bike shop since he was a kid. The shop’s founder, Fred, whenever he sees Bayton, always makes the same comment. “Fred always says to me, ‘You could have been a world champion if you had listened and hadn’t been so headstrong,'” says Bayton with a laugh. You get the feeling that Bayton sometimes wonders whether, had he ridden differently and reined in his desire to attack, he would have won more races. World champion? He says he wasn’t capable of that, but if you look at some of scalps he took in that 1972 Olympic road race, you can’t help wondering what might have been. One thing is certain: racing in the Seventies and Eighties was a lot more exciting because of the impulsive, attacking spirit of riders like Bayton. Many fans who remember seeing ‘the Staffordshire Engine’ at full steam will be glad that he never curtailed his attacking spirit. Commentator Hugh Porter gave Bayton his nickname. When Porter phoned Bayton at home in his early days of racing, he would always ask, “Is the Engine there?” – the nickname developed from there. A cool trick, and one that made sense too. Being neat and tidy means not having to waste energy rushing around before a race trying to find a piece of kit. If Bayton was riding for Team Sky today, the suitcase trick would no doubt be considered as another ‘marginal gain’. “Phil was strong as an ox and a great rider to have in your team. He only ever had two speeds: stopped and 30mph! No team captain or manager could contain him. Once the flag dropped, it was fill the engine with coal and full steam ahead until there was nothing left in the tender! “I have very good memories of Phil. He was a great pro, and in any race – long or short – he was always guaranteed to make an impact due to his sheer aggression. 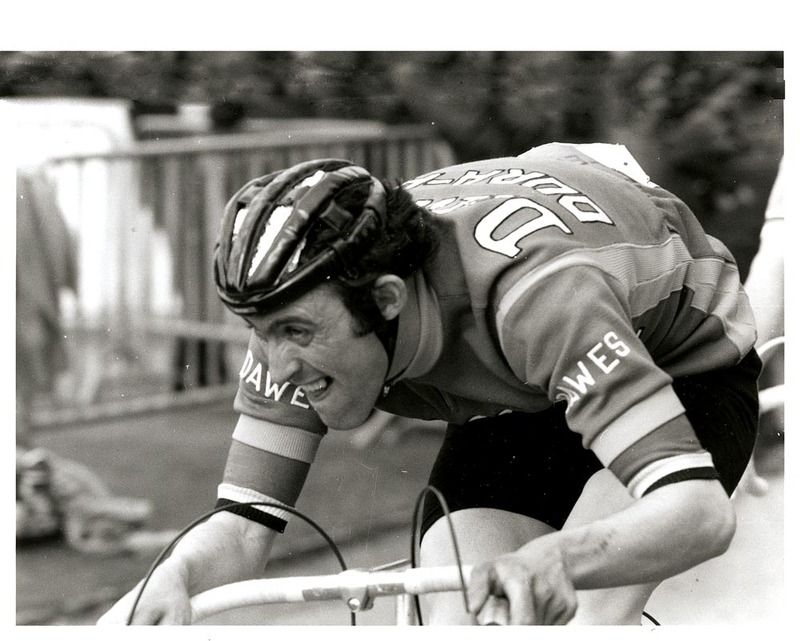 I remember him attacking with 30 miles to go in the London to York in 1979. I managed to go with him, but it was unbelievable the way he rode. 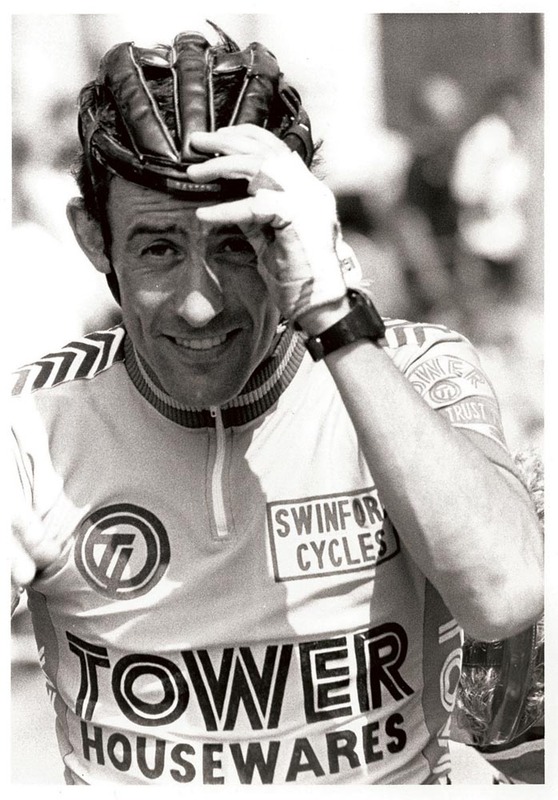 The high point of Phil Bayton’s career was his victory in the 1982 National Criterium Championships – the only national title he won as an amateur or professional. “Winning the crit title was my biggest win, and it’s one of the achievements I’m most proud of,” he says. Fourth place in the 1972 Olympic road race in Munich is up there too, especially when you consider the calibre of the opposition, which included Kuiper, Moser, and Maertens. The low point was the end of a disappointing few months with Peter Post’s Raleigh team, which resulted in Bayton considering quitting cycling altogether. 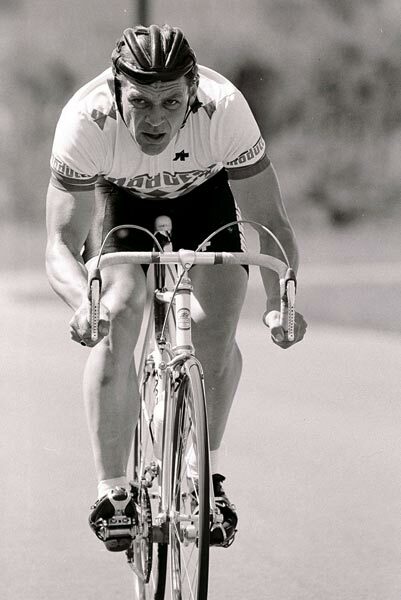 Had he given up the sport in 1974, it would have robbed him of his national crit title, two Milk Race stage wins, and many other criterium victories.